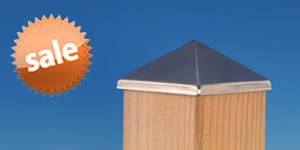 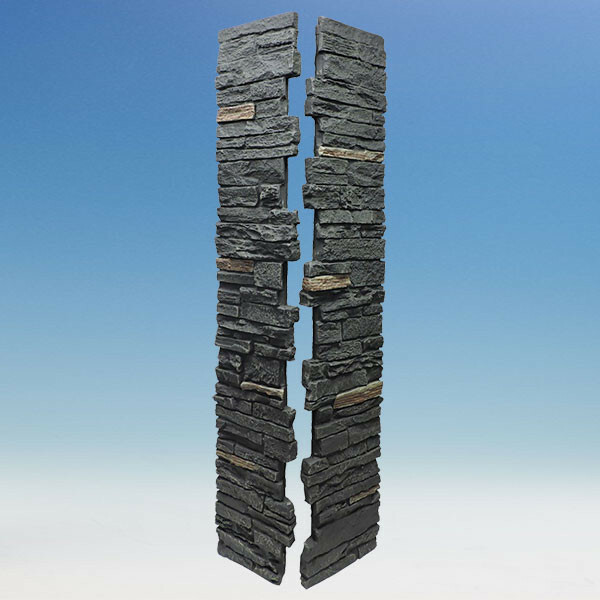 SlateStone Post Covers from NextStone provide the look of realistic stone without the weight or hassle. 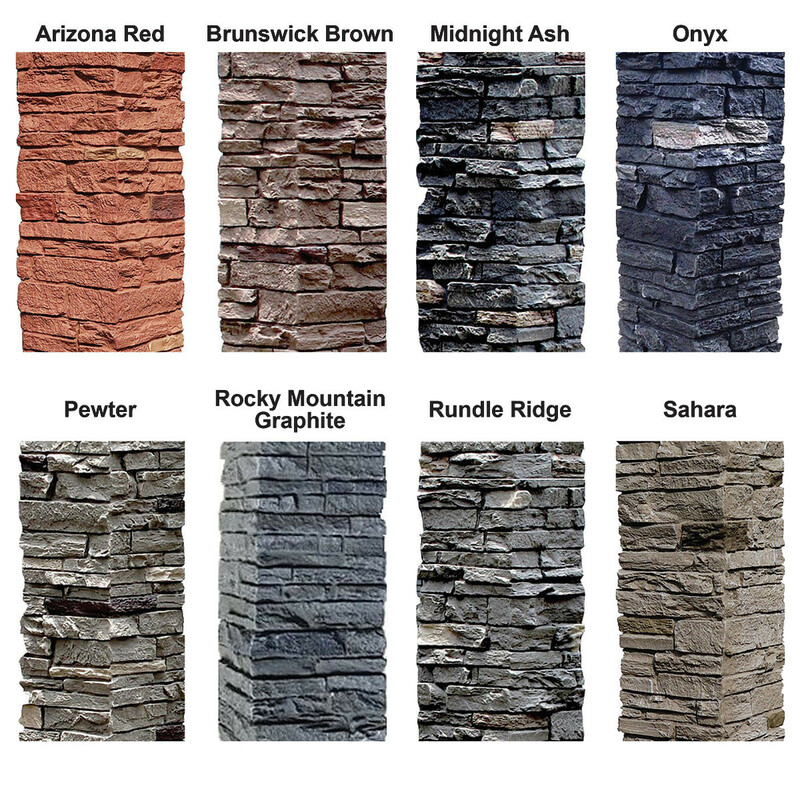 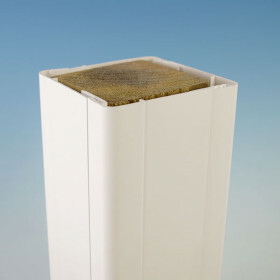 Available in eight tones to enhance many types of decking or siding, NextStone Post Covers are made from lightweight recycled materials that are very low-maintenance. 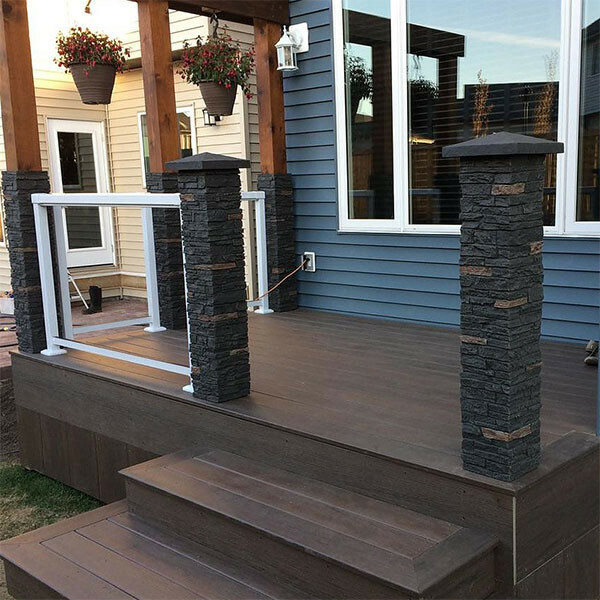 Both one-piece and two-piece post covers are a perfect fit for nominal 6x6 wood posts (actual dimension 5-1/2"), and they also work with 4x4s with additional blocking or simply use NextStone's Converter Kit. 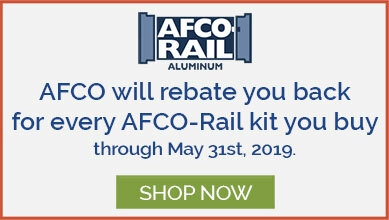 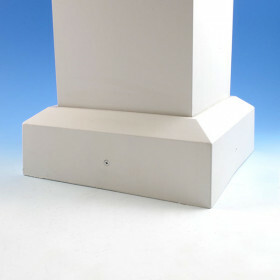 After installation, conceal seams or screw heads with NextStone Grout. 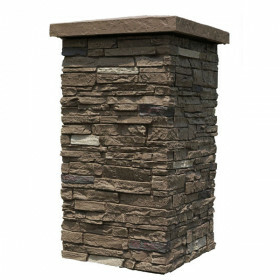 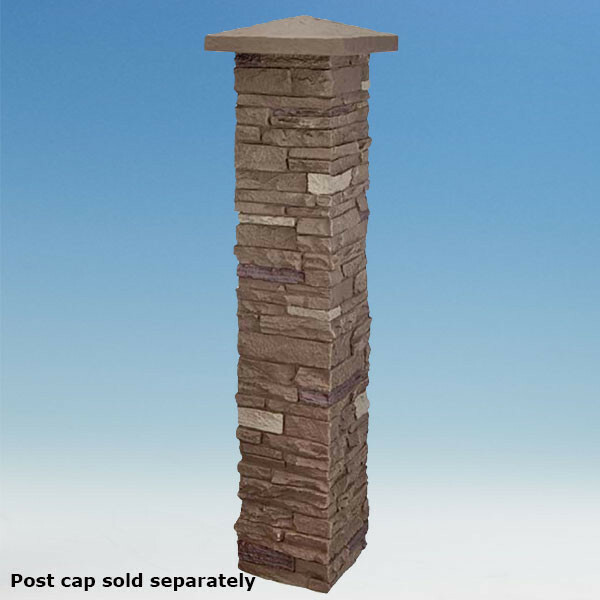 (Width x Depth x Height) Internal = 5-1/2" x 5-1/2" x 41"
External = 8" x 8" x 41"
NextStone produces lightweight faux-stone post covers that are built to last. 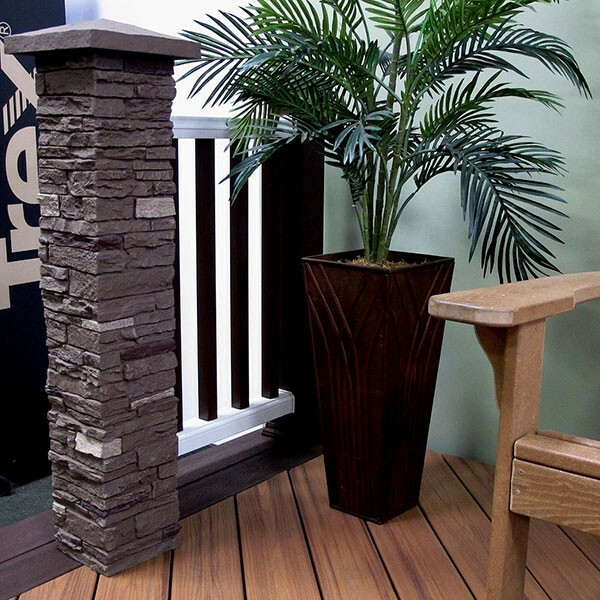 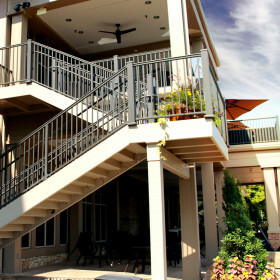 Their innovative formula made from recycled materials is resistant to fire, mold, and fading from the sun’s UV rays. 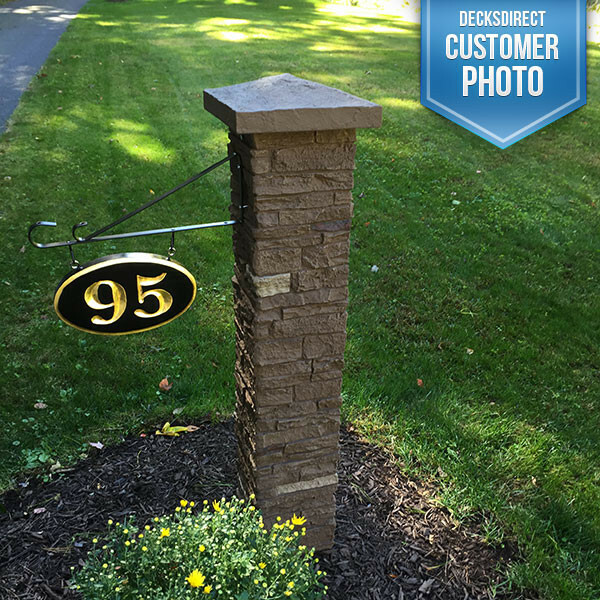 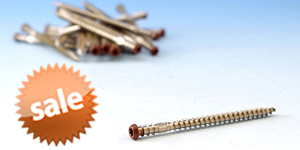 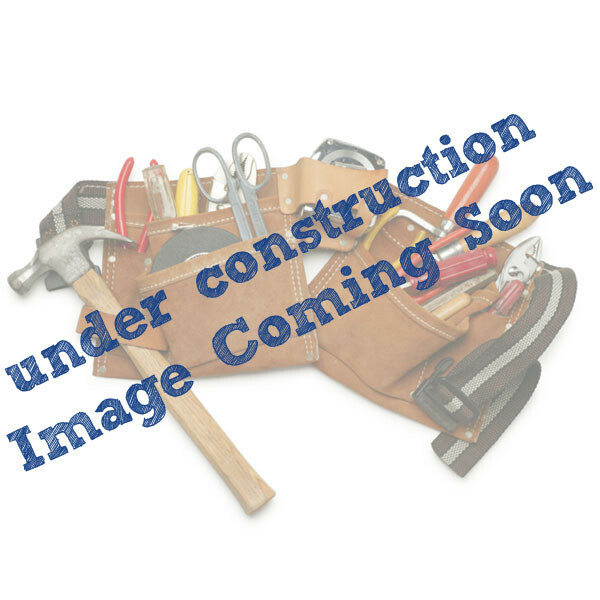 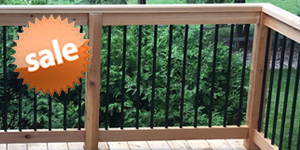 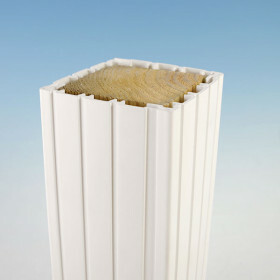 NextStone post covers are easy-to-install and require little upkeep. 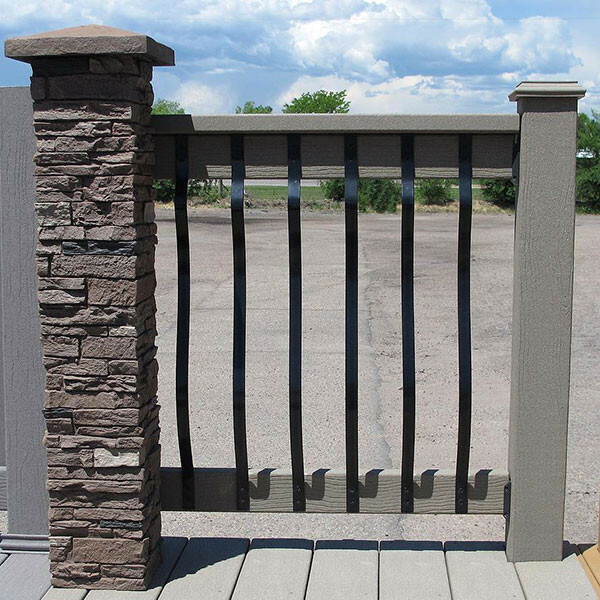 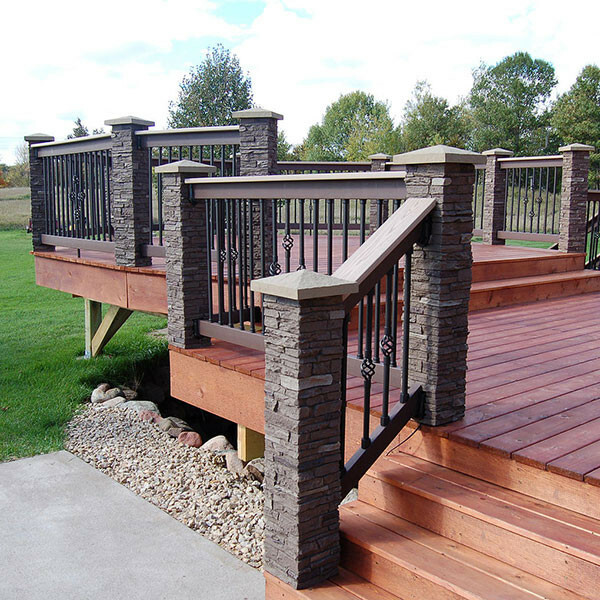 NextStone offers durable post covers that offer exquisite style with minimal upkeep necessary, available here at DecksDirect.